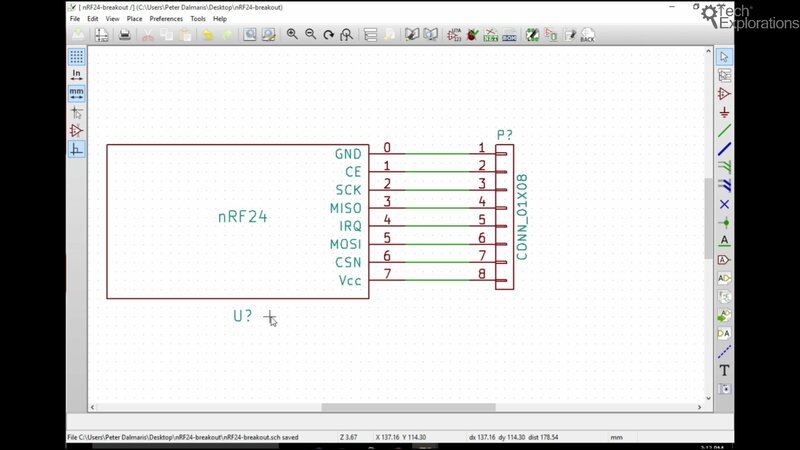 In this chapter I will show you how to use Kicad’s automatic annotation tool. We’ve got two components that are both are not annotated yet. The two components are not annotated. Notice the “?” in their designators. Notice the question marks in the component designators, “U?” and “P?”. To do the annotation, we will use the annotator. The annotator will automatically annotate components that are not already annotated. Click on the annotator button. 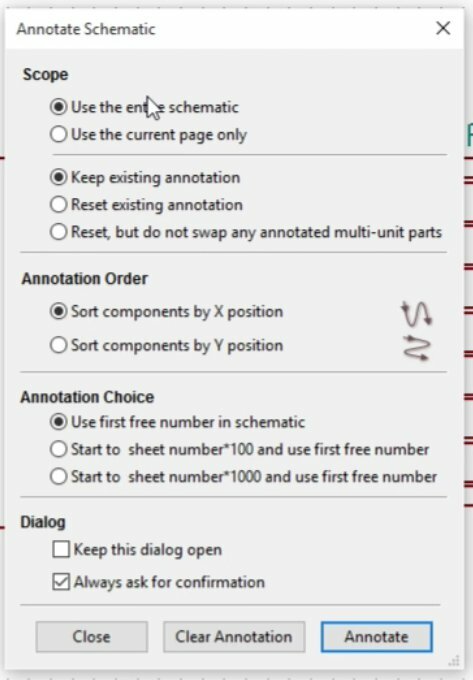 There are various parameters that control the way by which the components are to be annotated, however the default settings work fine. The default annotator settings work well. The annotator automatically replaced the question marks with numbers so that each component has a unique designator. Okay, and now you can see that the question marks have been substituted with actual numbers. The NRF 24 component is U1 and the connector is designated P1. In the next chapter, we will do an electrical rules check. This will complete the process of creating the schematic for our new board. Once we confirm that there are no faults in the schematic, we will proceed with the board layout and routing.